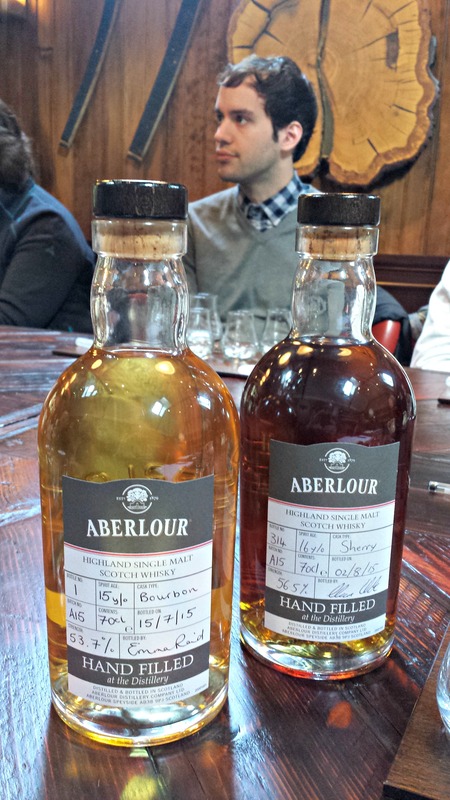 In the heart of the Speyside region of Scotland surrounded by burns or streams and the River Spey is the town of Aberlour. 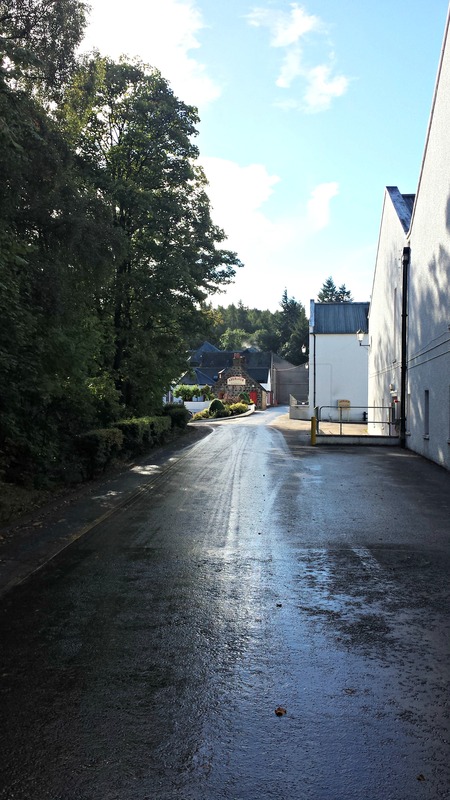 Some people know Aberlour from the famous Walkers shortbread which is made here. Others make the pilgrimage to fish or enjoy the beautiful countryside. 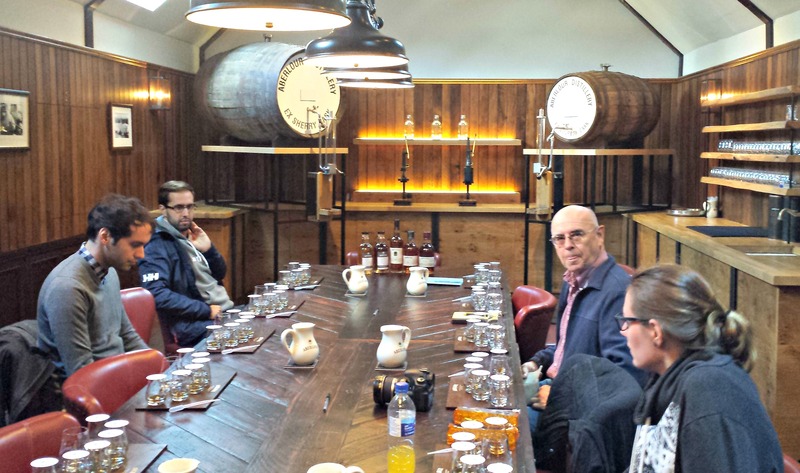 Our group came to Aberlour for its whisky and what a great place to base oneself to visit the many distilleries in the area. 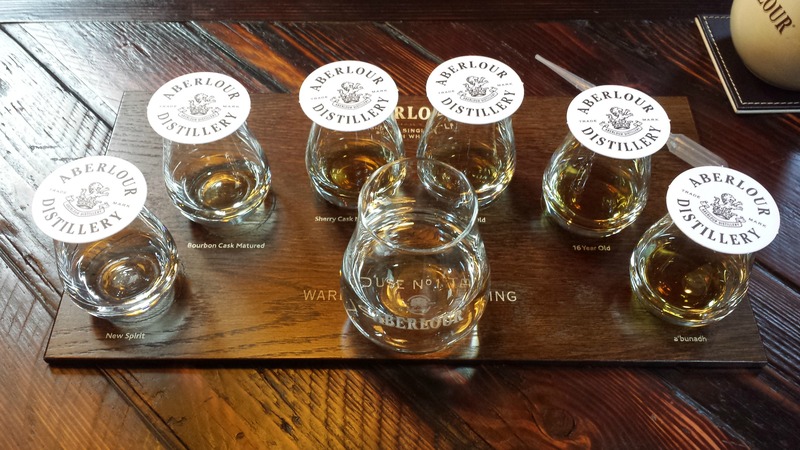 Of course, when you stay in Aberlour, the highlight has to be the Aberlour Distillery, and it was better than shortbread, a fine treat indeed. 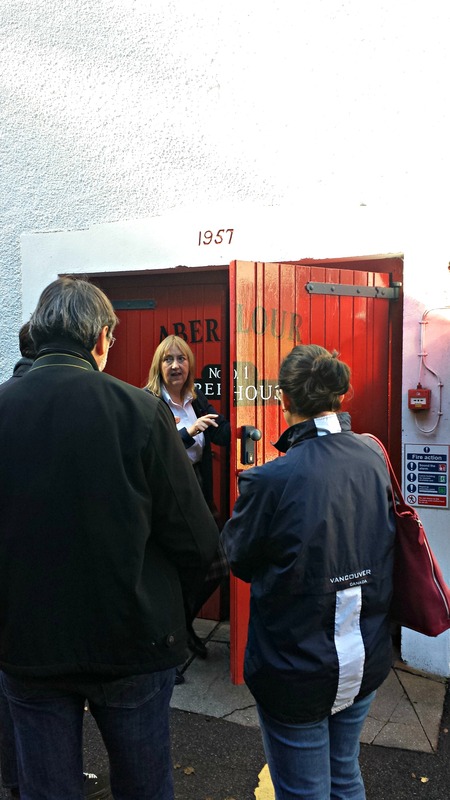 The Aberlour Distillery was built in 1879 by James Fleming, the son of a local farmer. 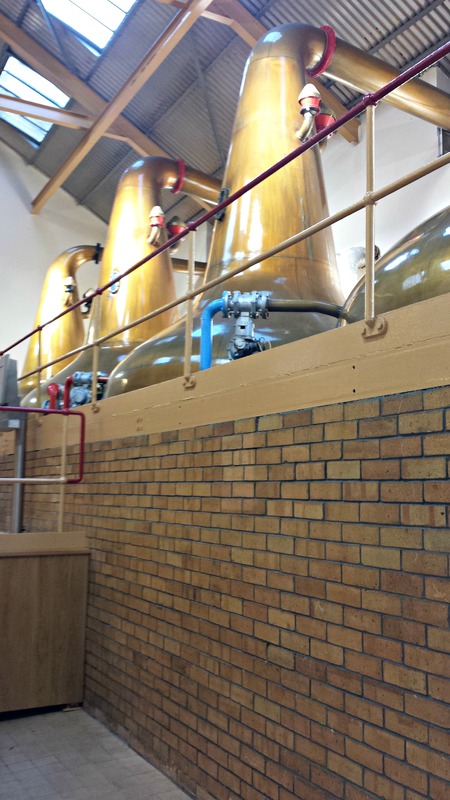 He wanted to create a distillery that would represent what a true distillery should look like. 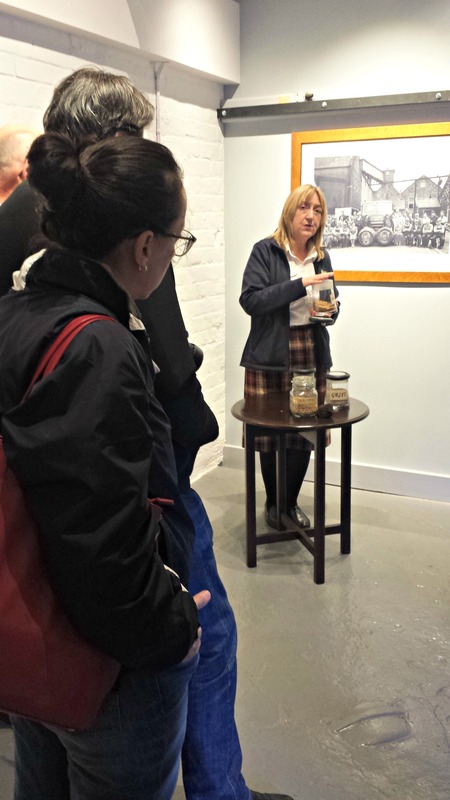 Unlike most distilleries, it was powered by a waterwheel until the 1960s using the rushing stream nearby. He was a community man and did many important things for the town and people as well. A town hall is now named after him, Fleming Hall. 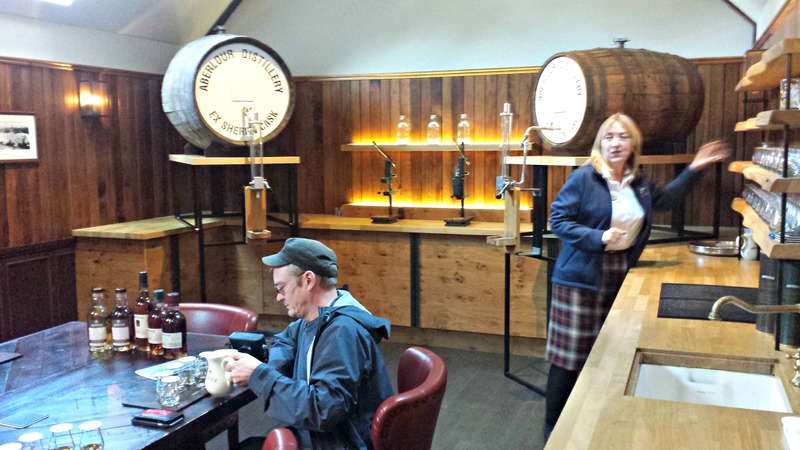 But he was also very proud of the spirit that came out of the distillery and had a famous family motto of “Let the Deed Show,” telling people that the spirit itself was the true testament of his whisky-making and expertise. 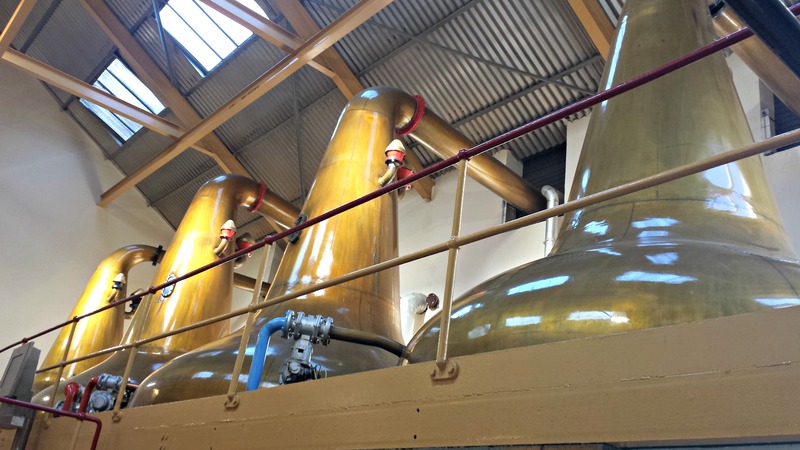 Upon Fleming’s death in 1895, the distillery went through a number of hands and eventually was acquired by Pernod Ricard in 1975 which then joined Chivas Brothers in 2001. 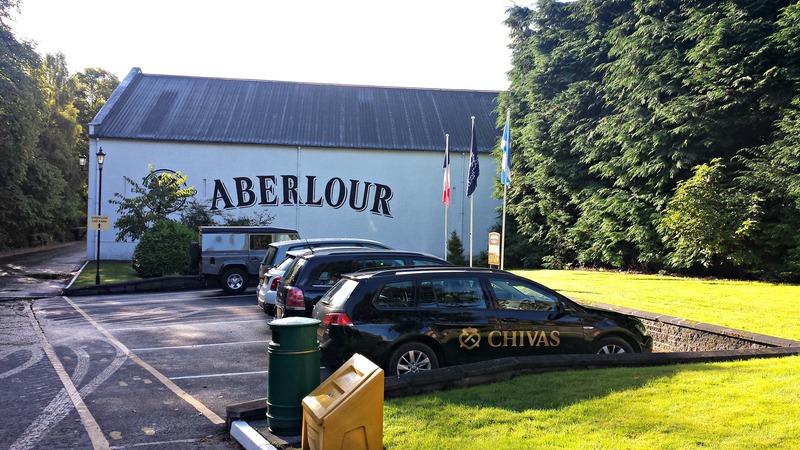 Aberlour is the best selling Scotch in France with over a million bottles a year being sold there. 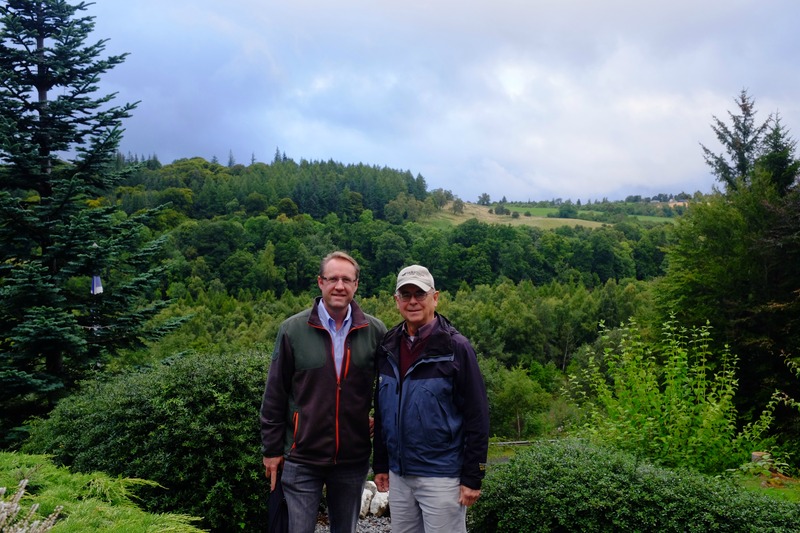 Let’s just say that it was good that we were able to walk to the distillery from our hotel up the hill! It was a great way to end a very nice tour and experience. 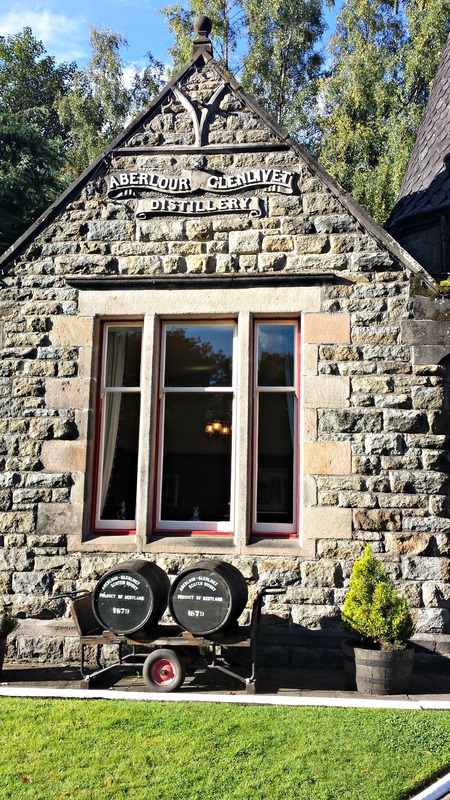 Charles’ Notes: Aberlour was one of the distilleries that I was most interested in visiting due to its popularity abroad and the fact that we were staying right next to it at The Dowans Hotel for 4 nights. 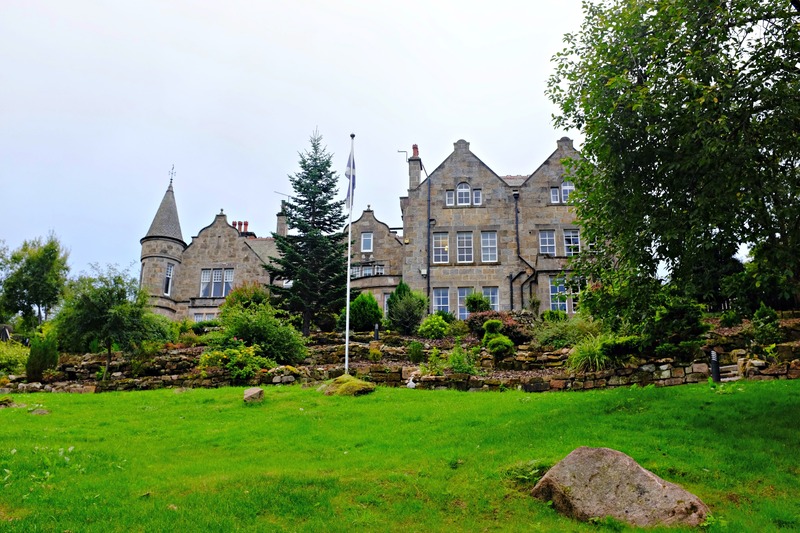 By the way, The Dowans Hotel made for a perfect base to explore the Speyside region’s offerings and I would stay there again in a heartbeat. 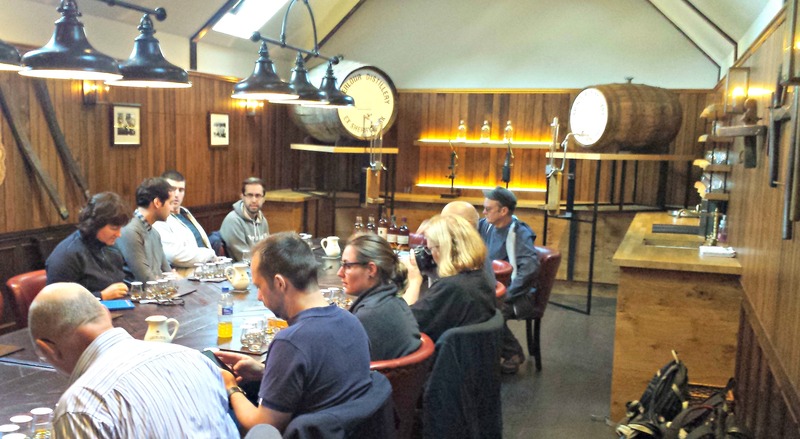 Great food and whisky bar! The distillery had a smaller feel than what I expected from a Chivas/Pernod Ricard owned maker, but this was a good thing. 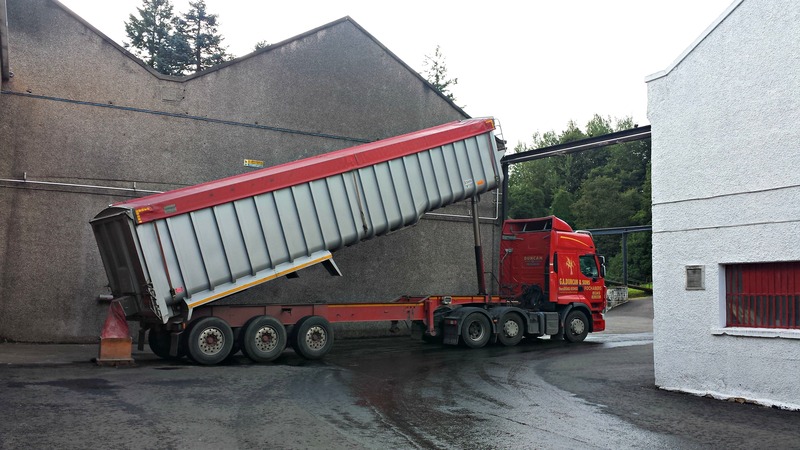 It made me think of the late 19th century when the distillery was being run by Mr. Fleming. It is set on a nice piece of property right along the stream. It really is a perfect spot for someone to visit, especially if they are staying in town like we did. I did regret not picking up the bourbon-cask matured 15 year old. This was my favorite taste. At home, the A’Bunadh has become one of my favorites as well (Batch 50). I guess I will just need to make another visit! Cheers.